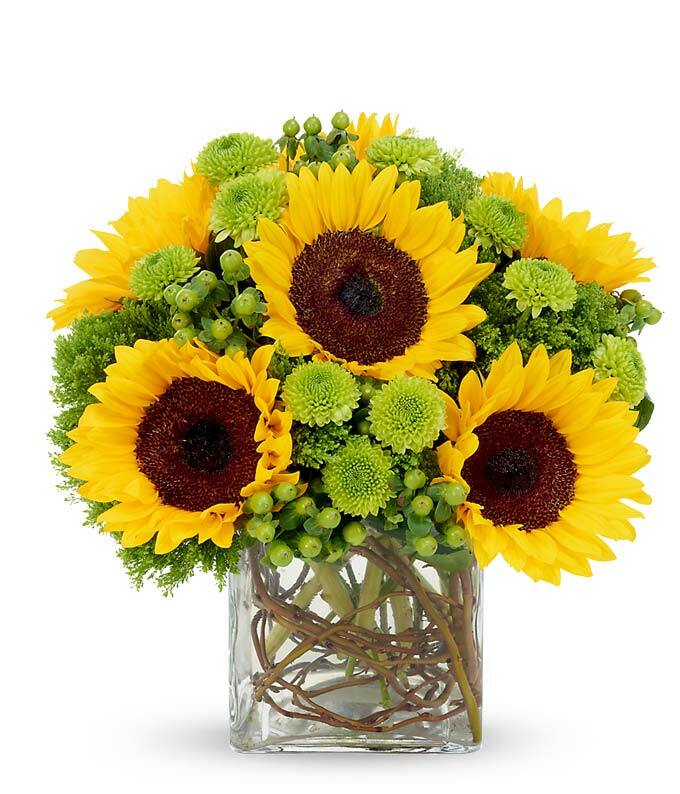 These beautiful sunflowers are prominently displayed among an arrangement of luscious greens, shining bright and looking fresh. Green poms, green hypericum berries and green trachelium surround the sunflowers, all displayed in a clear cube vase, accented by curly willow. This sunflower bouquet is delivered by a florist. Measures 11"H x 10"L.